• Tuition: $1885 to $2535 depending on room choice and availability. Includes five nights lodging (single occupancy), and all meals from Monday night through Saturday morning. 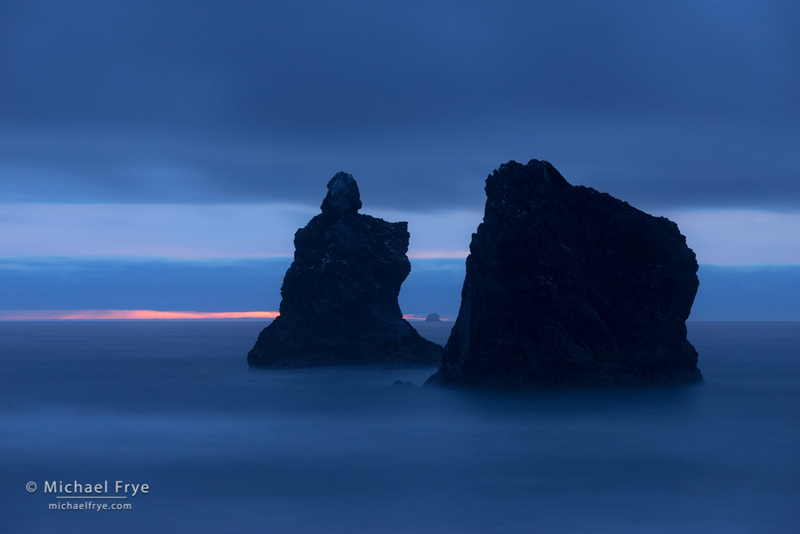 Have you ever stood in front of a magnificent landscape, but been disappointed with the resulting photographs? If so you’re not alone. I think all of us have made images that didn’t capture what we saw, or how we felt when witnessing a beautiful scene. But it’s possible to get beyond that—to learn to how to truly communicate through your photographs, and capture the mood of a landscape. 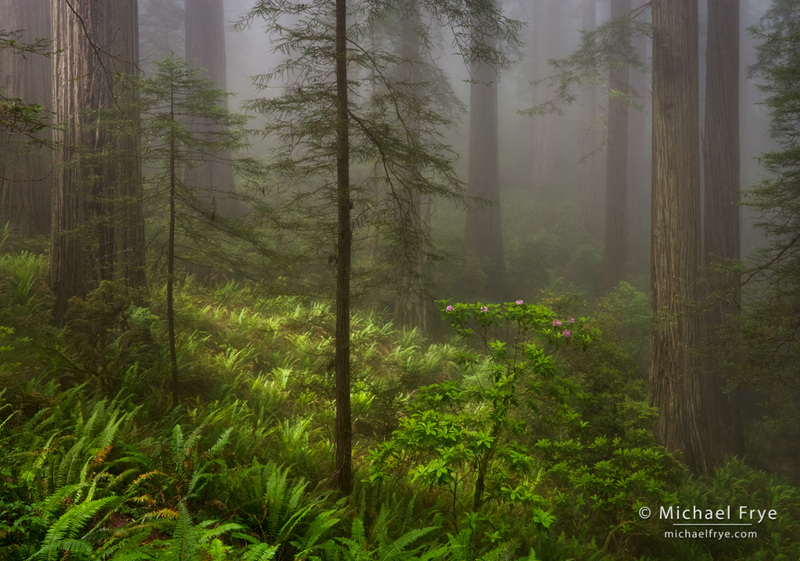 The primeval redwood forests and rugged coastlines of Northern California are the perfect place to learn how to make photographs that connect with viewers on an emotional level. I’ve fallen in love with this area over the last few years because beautiful, moody landscapes abound, and the photographic potential seems unlimited. 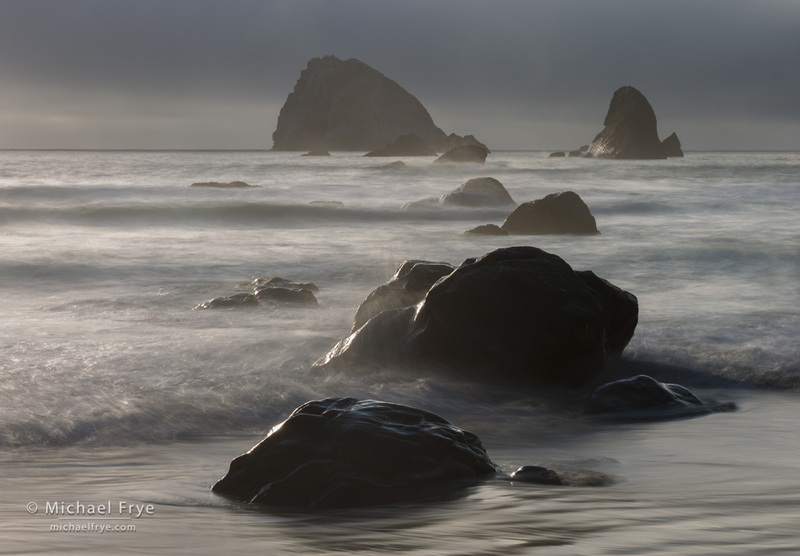 During this workshop we’ll look for juxtapositions of redwoods and the rhododendrons which should be blooming in early June, and explore the bluffs, coves, and sea stacks along the coast. 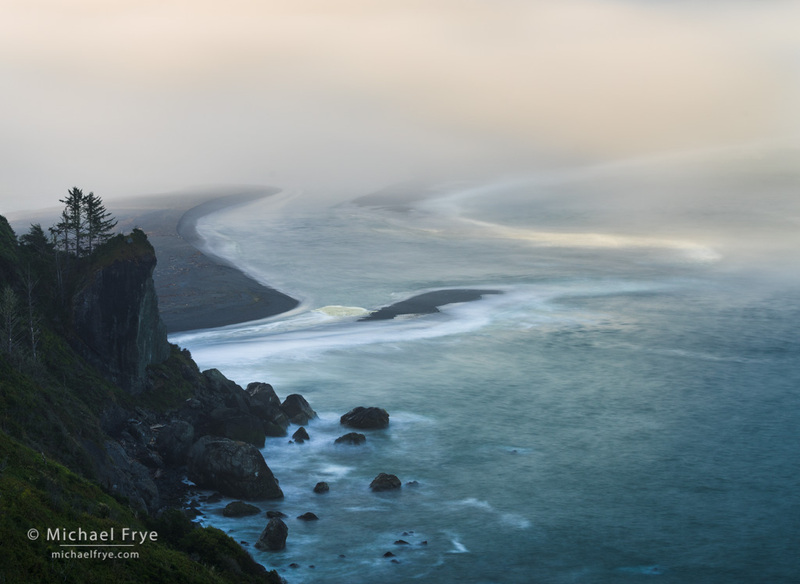 To help you capture these scenes I’ll show you how to use lines, shapes, tones, and colors to affect the mood of an image, and how light and weather can communicate the feeling of a particular time and place. We’ll also delve into the visual language of photography – how to use the symbolism of the subject, light, and weather to communicate your vision. Of course we’ll also cover fundamentals like exposure, histograms, and depth of field. Technique and vision go together! We’ve arranged to hold this workshop at the beautiful and historic Requa Inn, located in the heart of the redwood country at the mouth of the Klamath River. Our past experiences at the Requa Inn have been wonderful. It’s a warm, welcoming, relaxing place, and the food is fantastic. We’ve seen bald eagles frequently from the dining room, and sometimes spotted bears across the river. This workshop is designed for photographers of all levels except real beginners. Participants should have a good understanding of camera fundamentals like exposure and depth of field, and be familiar with the operation of their camera. 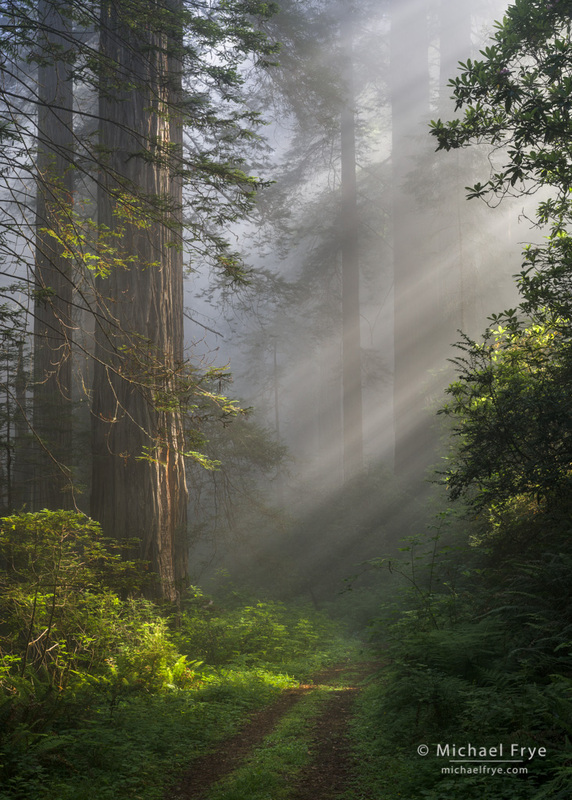 The best places to photograph redwoods aren’t right by the road, so some moderate hiking will be required. We may also need to traverse slippery, muddy trails, and climb over driftwood logs to reach some of the rocky coastal beaches. Please be sure you’re healthy, in good physical condition, and capable of negotiating rough or slippery trails before signing up for this workshop.